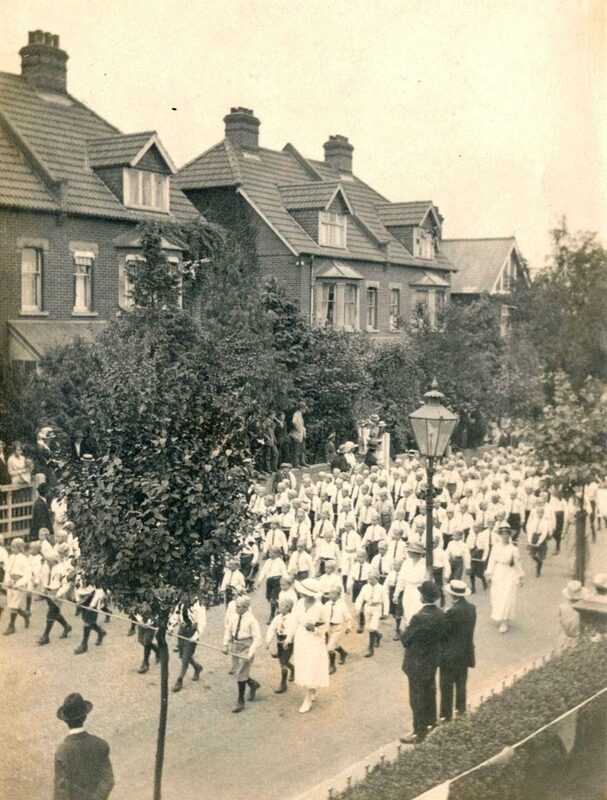 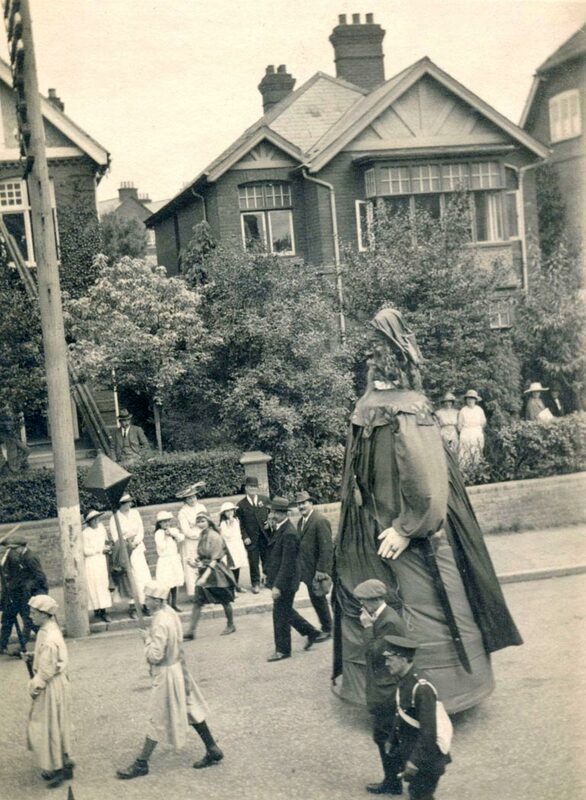 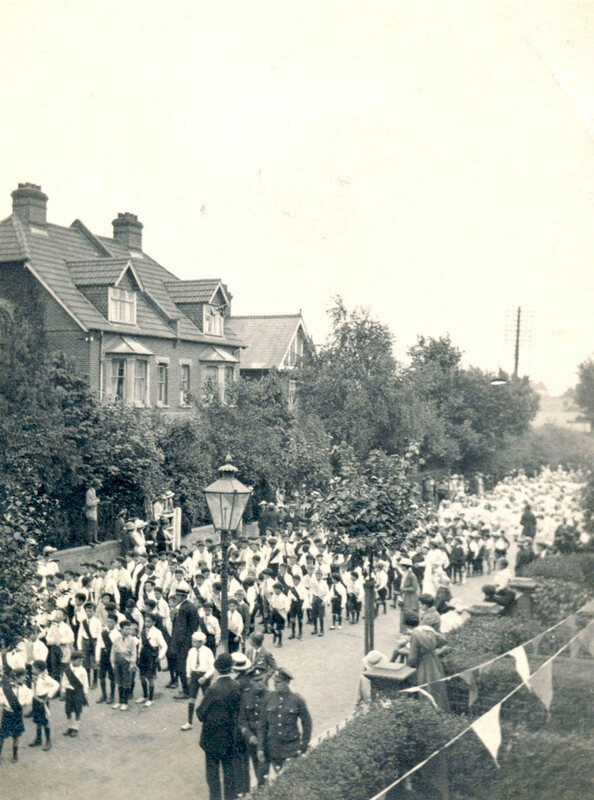 Celebrating the end of the First World War, around 4000 children from local schools took part in the Salisbury Peace Parade on Monday 28 July 1919. 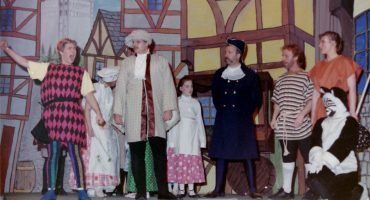 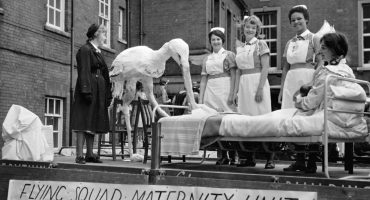 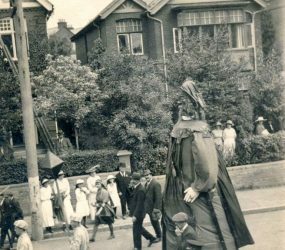 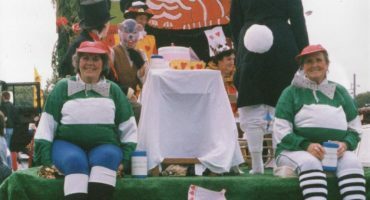 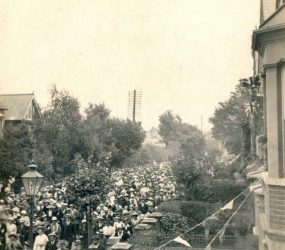 Dressed in costumes, based on Salisbury through the ages, the pageant passed through the streets lined with thousands of people. 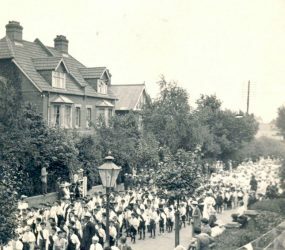 The parade made its way through the city centre to a large gathering in Victoria Park. 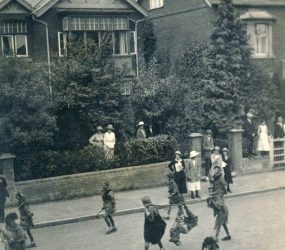 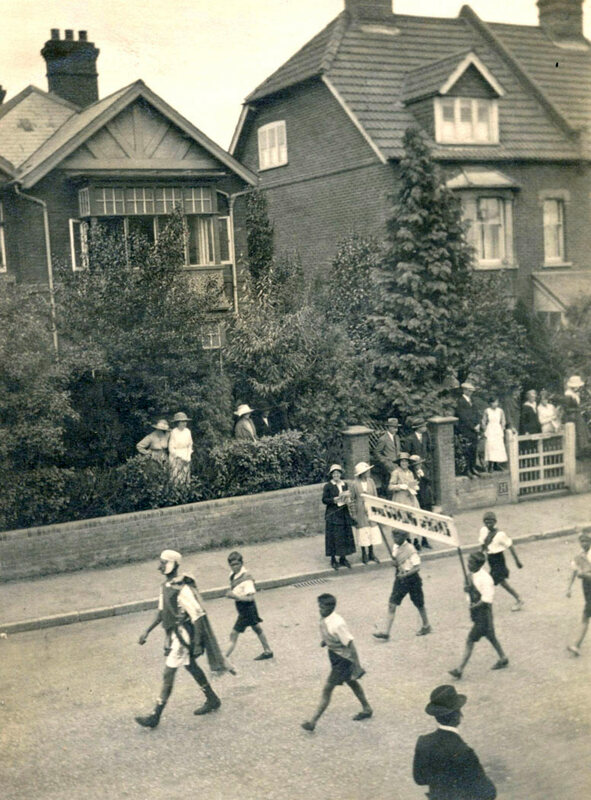 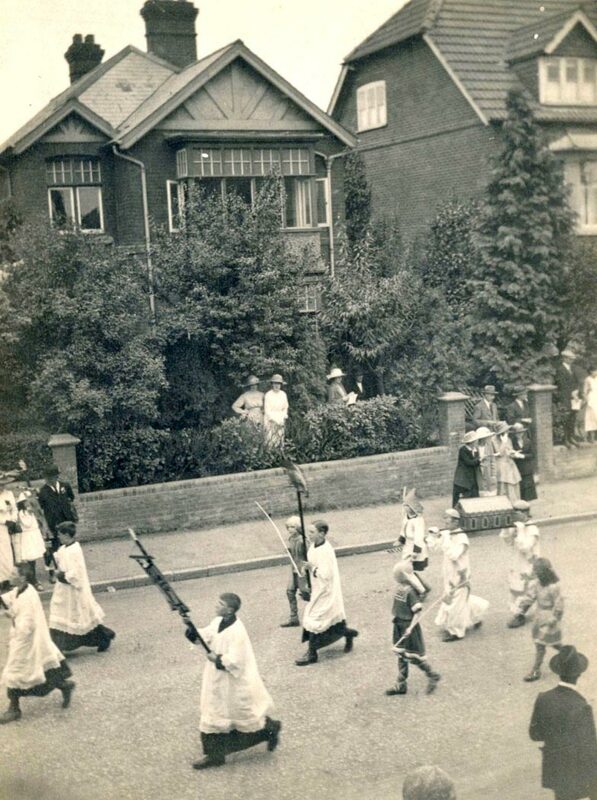 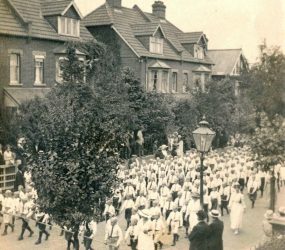 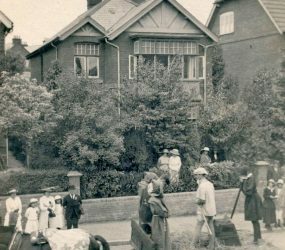 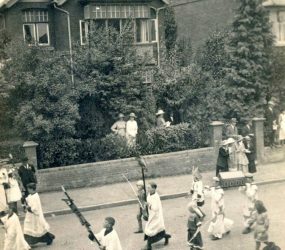 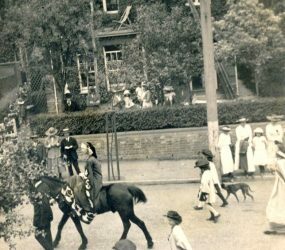 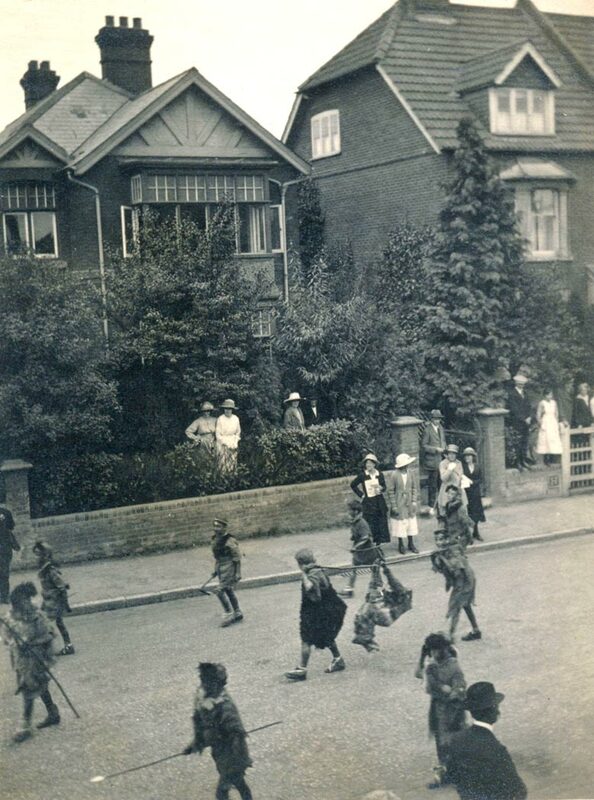 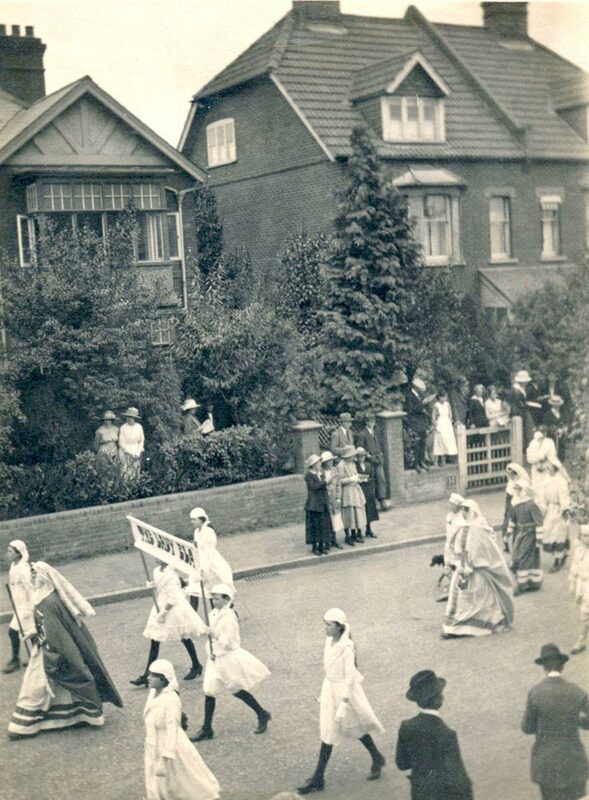 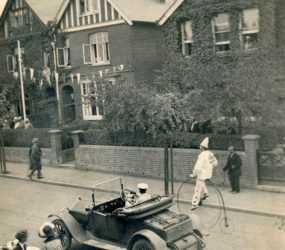 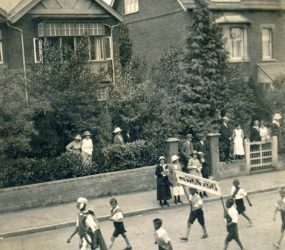 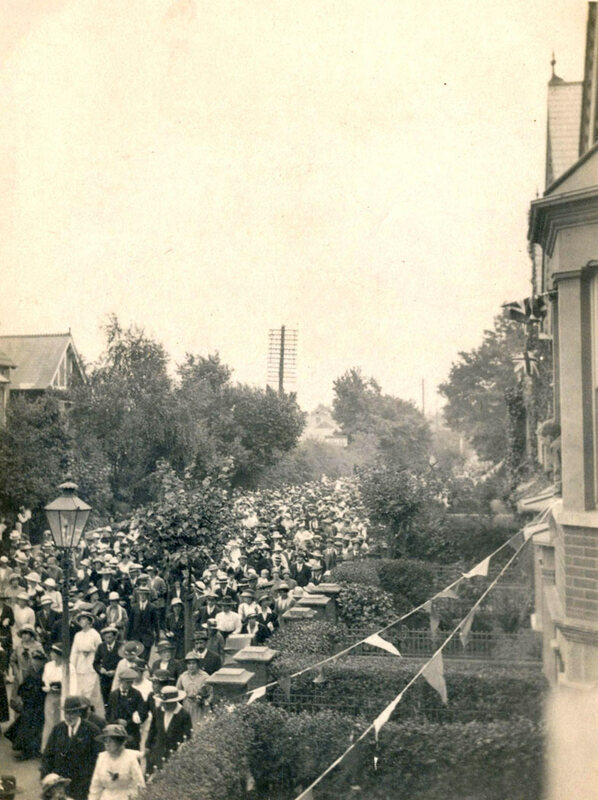 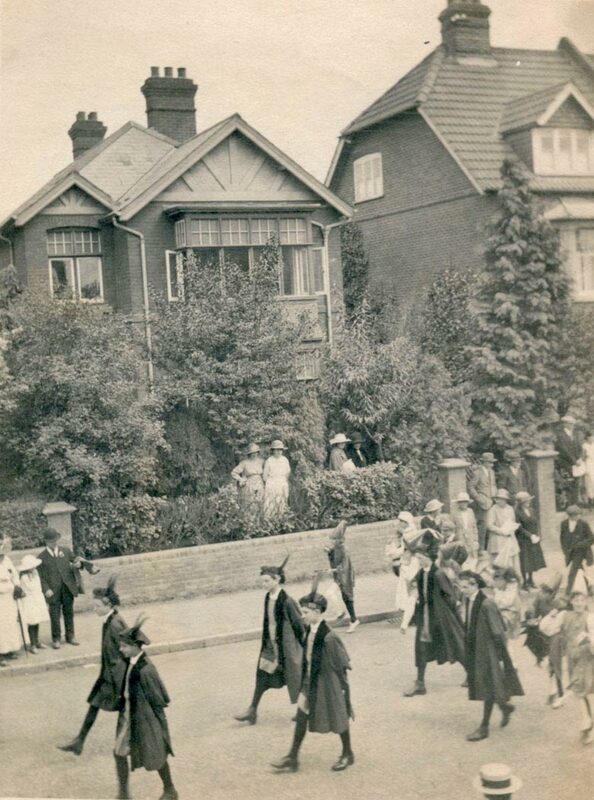 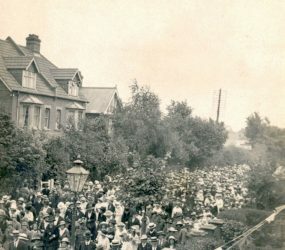 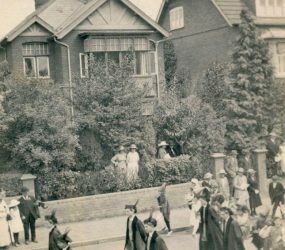 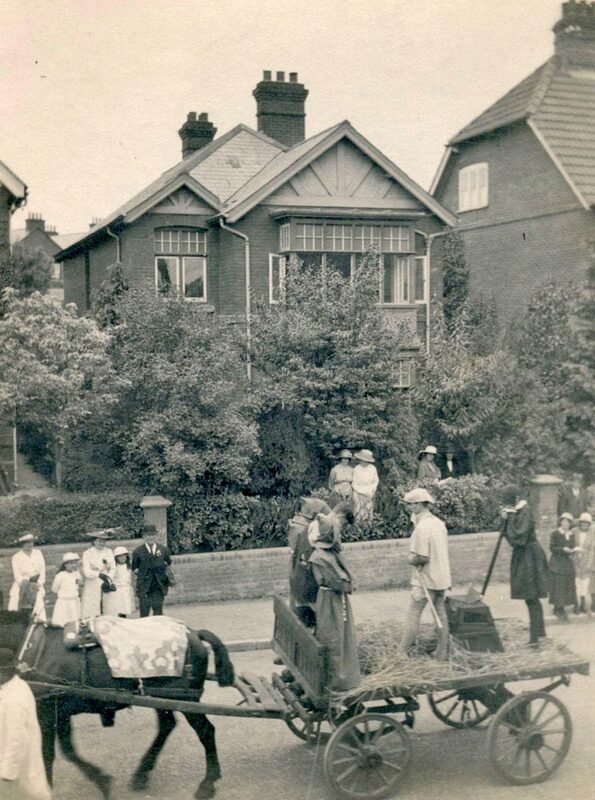 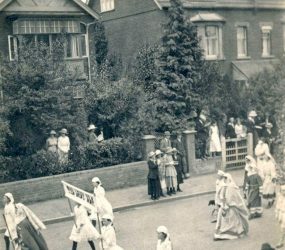 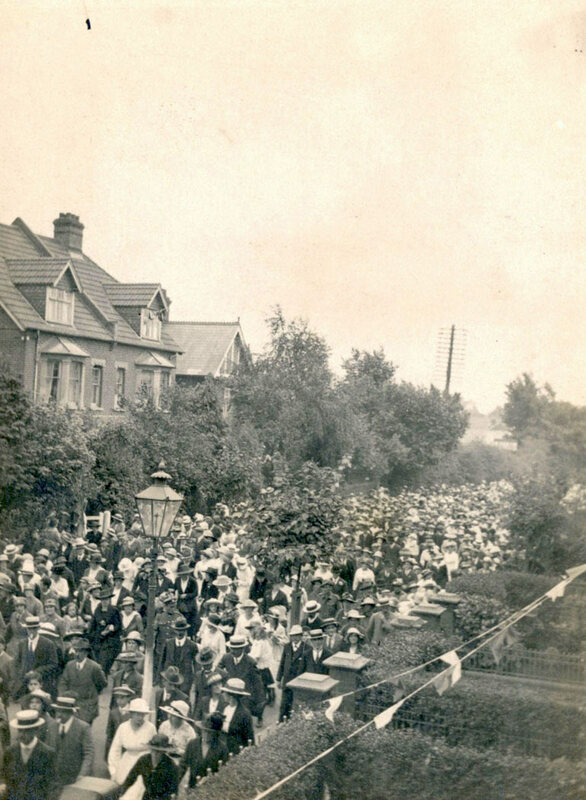 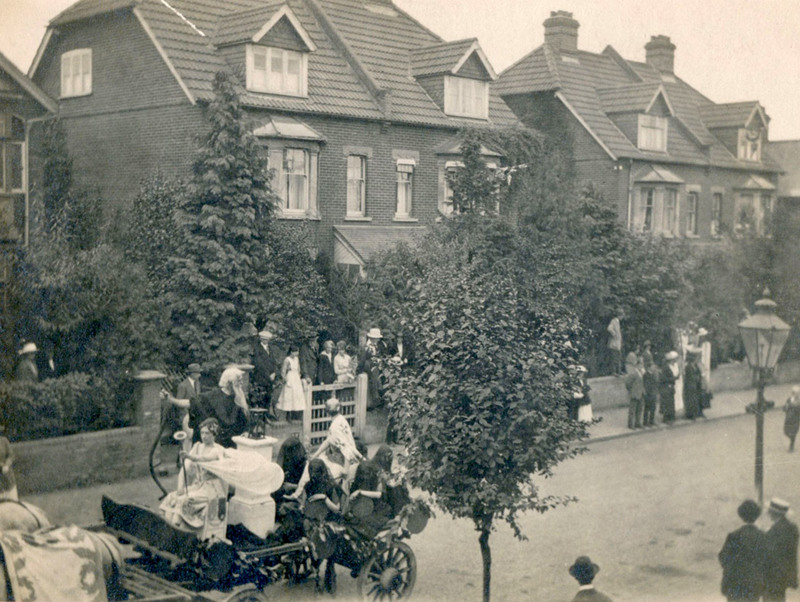 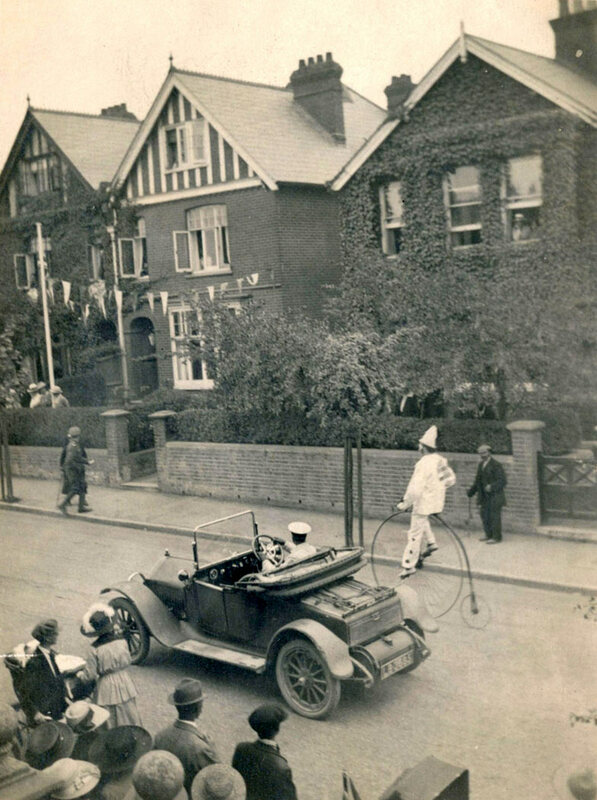 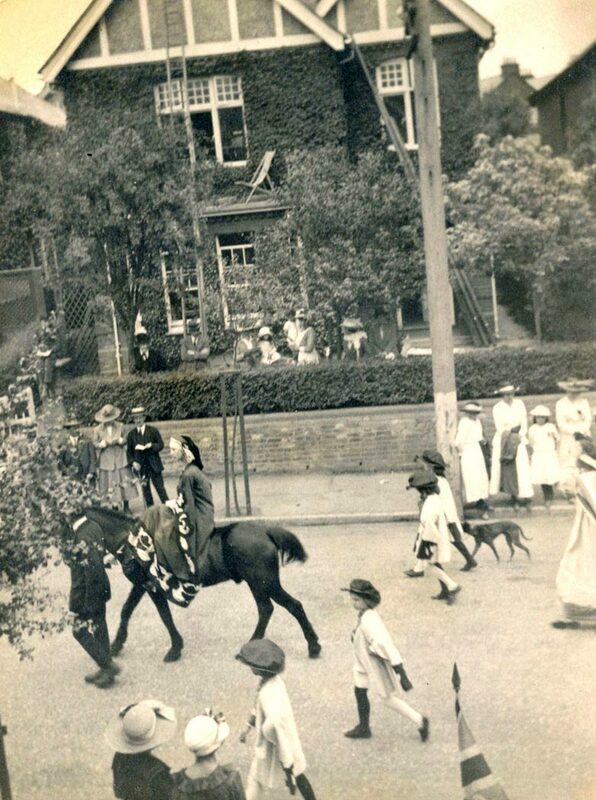 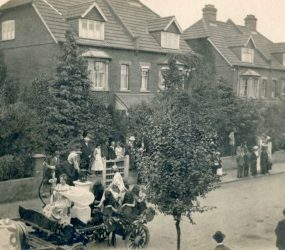 Below, a set of 14 small photographs in the Salisbury Hospital historical collection shows the parade, likely taken from an upstairs window in a house on Castle Road, Salisbury.